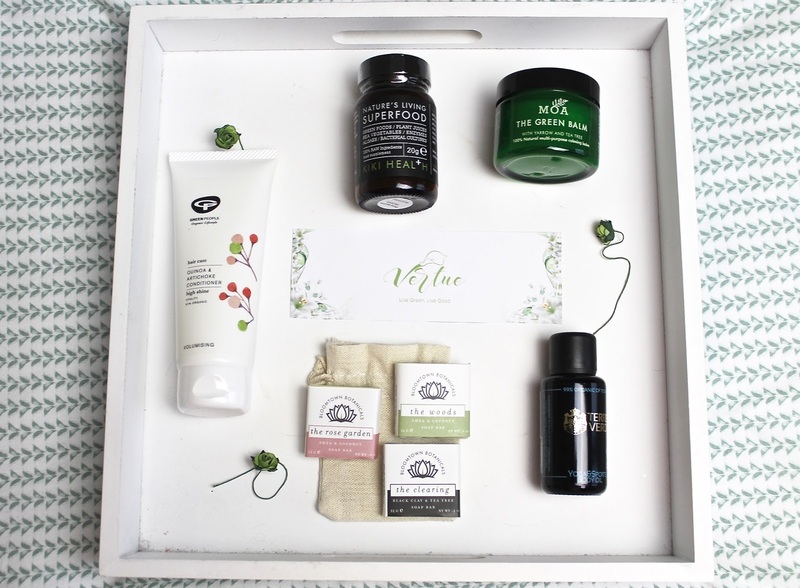 Welcome to the brand new green beauty box in town - the Vertue box*! 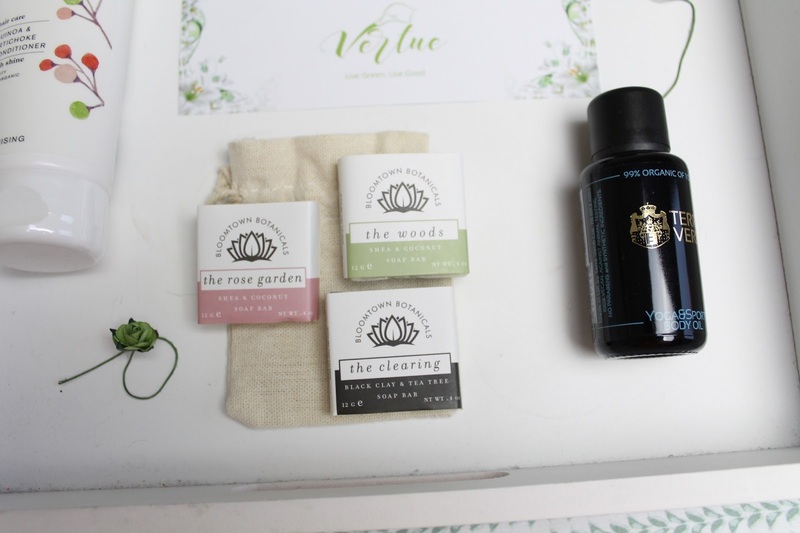 Vertue are the latest company to hit the green beauty market with a subscription box. 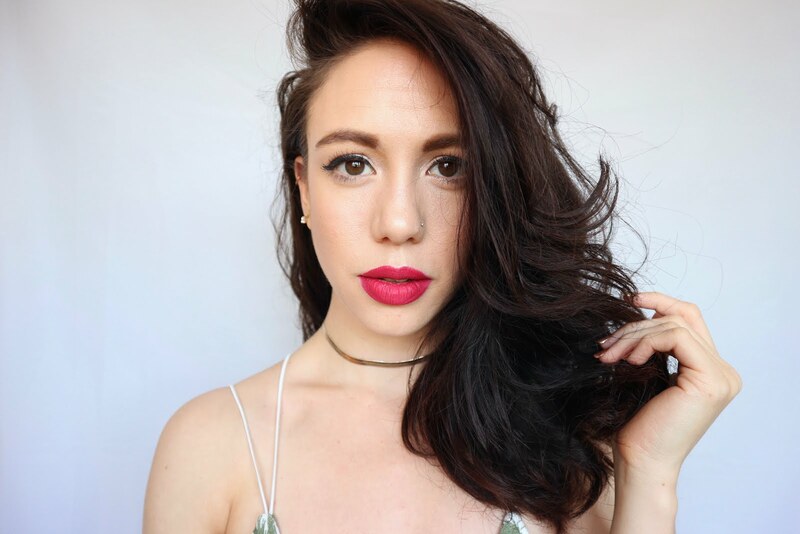 Founded by MUA Laila Sanderson, the aim of this box is to provide beauty addicts with green and clean beauty options as well as healthcare products too. These boxes will provide both well-known and smaller artisanal brands to give you the widest range of choice possible from the best of brands. They also have strong focus on brands and products that are better for the environment too and are part of the Real Beauty Manifesto. Even better is that Vertue donate 10% of their profits to charity. Boxes are sent out every two months at the end of the month. This boxing day Vertue will also be launching their brand new shop! As a special celebration they are offering an amazing 20% off all products with the code: SHOP20 so make sure you head on over for some bargains. For the early birds the shop will be open from 6am. So lets dive into this November box! For me personally the box couldn't have opened with a better offering. First off it includes a FULL size of my most cherished MOA Green Balm. I've raved about this product before so I'll not go into it again but just know that in my eyes this balm is the King of all multi-purpose products. Next included is a KIKI Health Nature's Living Superfood supplement which is bang on time for me as I've almost run out of my beloved Spirulina. I've been really intrigued about KIKI Health since seeing them on other blogs and retailers and exploring some of their videos too. The bottle is 20g which is the ideal size as there is plenty enough to give this a decent trial without worrying about wasting it if I find it's not something I can work with. Next up is an interesting new brand to me; Bloomtown Botanicals. I'm very into my soaps (after hating them for many years) so I'm going to enjoy have these small ones to test and try out. Also included in the box is a very big brand- Terre Verdi. Terre Verdi are very well known in the green beauty world so it's very cool to get it in a box alongside other small brands like Bloomtown Botanicals. I have a collection of Terre Verdi products but this Yoga and Sports oil is a new addition to my collection. 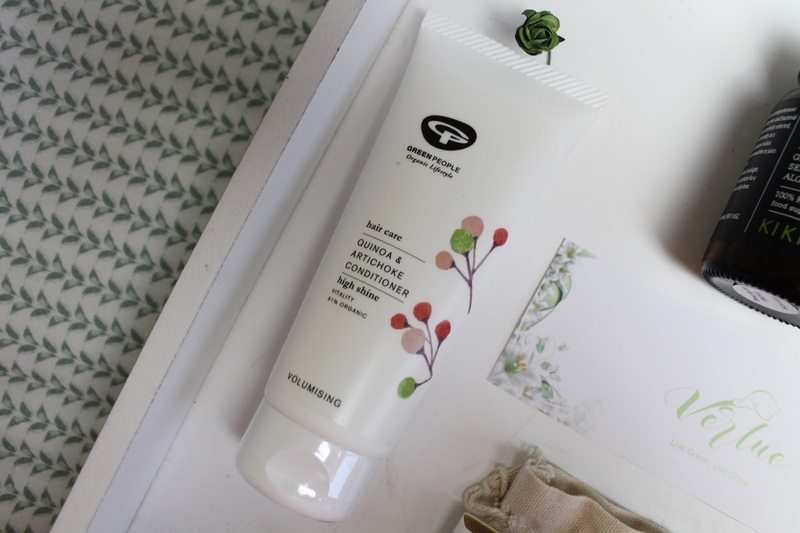 Last but by no means least is a Green People's Quinoa and Artichoke conditioner. It's really refreshing to get a haircare product in a beauty box, especially a full sized one. I have used this product before and loved the range so this is another real winner for me. Final thoughts on the box? I know in the past they had a few hiccups with their boxes but for me personally this December Vertue box was a big success. The blend of smaller and bigger known brands is a big part of the appeal as is the range of products. More often than not I find I like a box, but it's always all skincare. 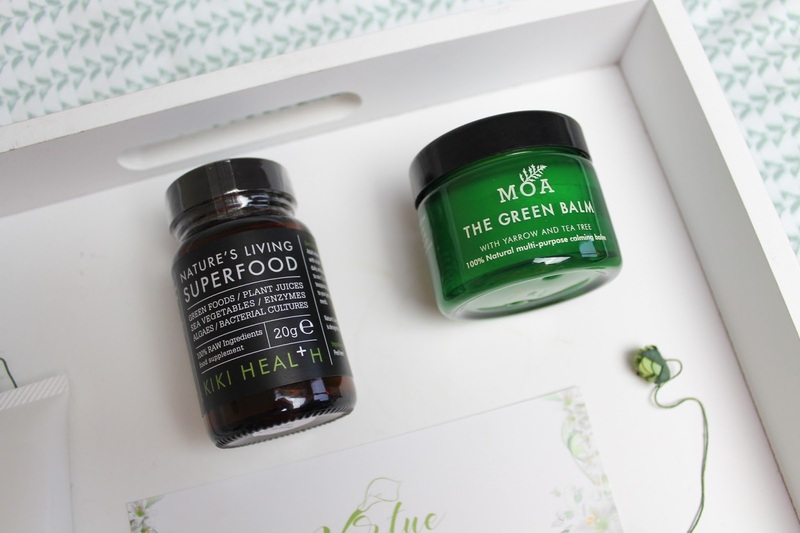 This box however has a great mix of skincare, haircare and health combined which makes it that much more interesting and much more of a discovery! Definitely recommend it's worth you give this box a try if you are looking for a box with a hint more variety in it. Plus there are the two size/ price options so it can work with anyone's budget. Don't forget that Vertue are also launching their shop on Boxing Day with the SHOP20 code for 20% off! Also - don't know if i'm right about how i've interpreted this but it fits with their slogan 'Live Green, Live Good- but I love the play on words with the name 'Vertue' - like 'Virtue' as in goodness and wholesomeness but spelt like 'Vert' as in the colour green. Clever!